McAllen High's Westyn Henderson moves the ball up field to set up the game-winning goal as Austin Lake Travis' Claire Rodgers chases her during the second half of their Class 6A regional final match Saturday, April 14, 2018, at Blossom Athletic Center in San Antonio. McAllen High won the match 1-0. State qualifiers and top scorers highlight the six nominees for Girls Soccer Player of the Year and Boys Soccer Player of the Year. Valley View Mario De Los Santos scores against Donna North in the first half of 5A Bi-District game at Richard Thompson Stadium Saturday March 31, 2018, in Sharyland. Juarez Lincoln Gerardo Reyes scores against Mission High at La Joya stadium Friday March, 2, 2018 in La Joya. >> Westyn Henderson, McAllen High: As a sophomore, Henderson did it all for the Bulldogs, playing sound defense and showcasing strong dribbling and shooting. The midfielder propelled her team to become the first girls team from the Valley to qualify for state. 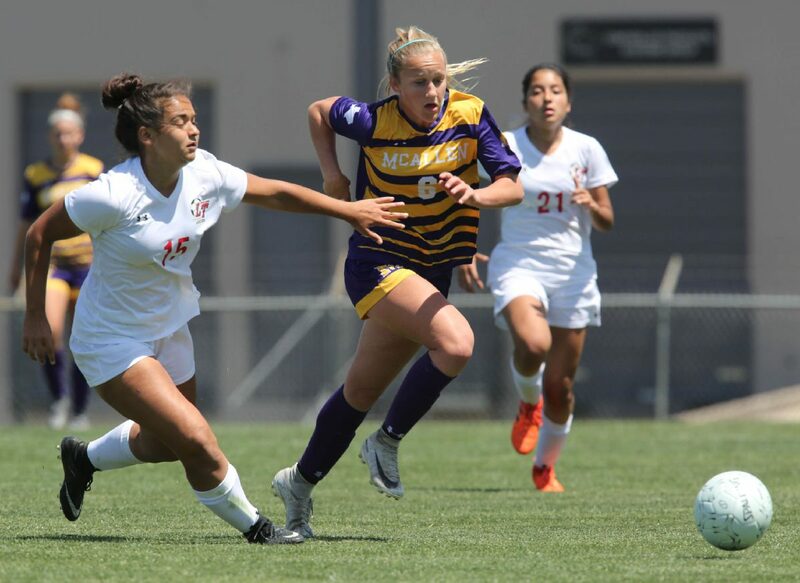 At the regional tournament, she moved to forward and scored the game-winner in McHi’s semifinal against San Antonio Johnson and assisted on the winning goal against Austin Lake Travis. She was named to the state all-tournament team. 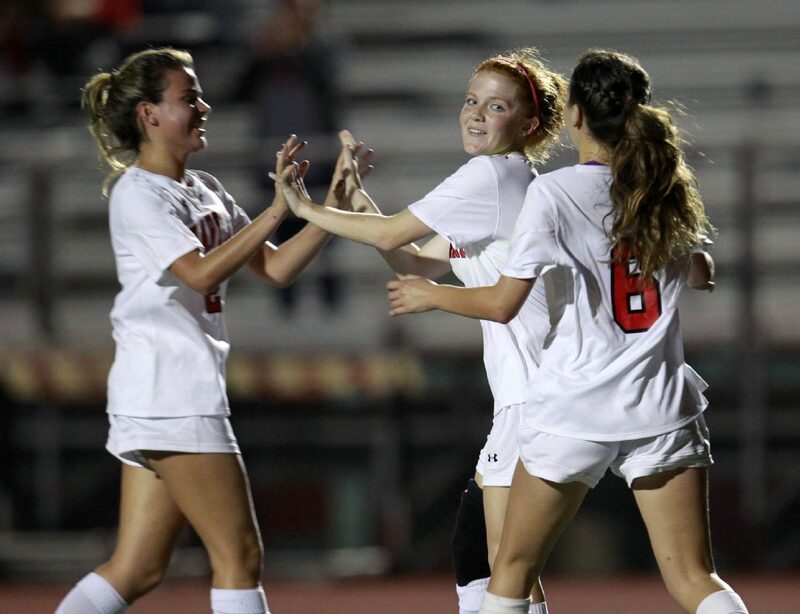 >> Kaitie Watson, Sharyland High: During her senior season, Watson put in 51 goals and assisted on another 21. Even as a key target for many teams, she shook off defenders to lead Sharyland to another district championship. She carried much of the offensive responsibility, including a dramatic free-kick goal to force overtime in her team’s second meeting against Sharyland Pioneer. The Rattlers won the game to secure the district title. 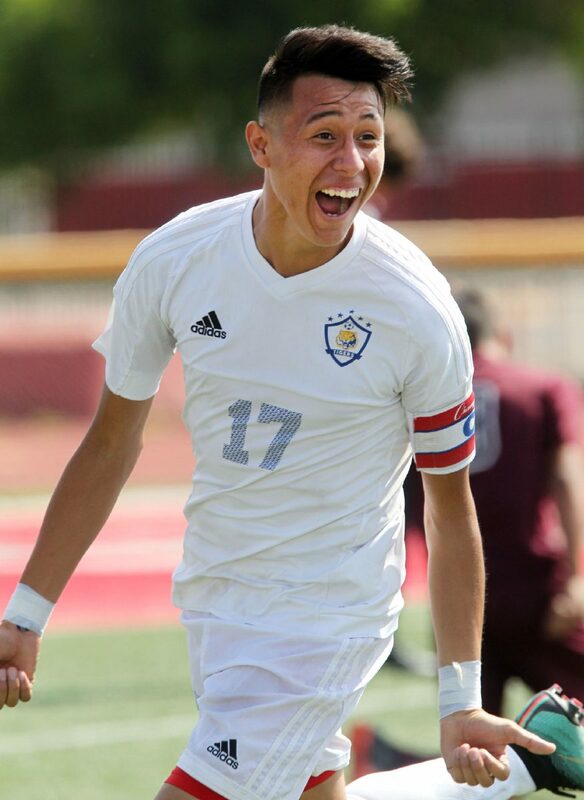 >> Mario De Los Santos, Valley View: De Los Santos scored 70 goals in 2018 to help Valley View reach its first state tournament since 2014. He led the Tigers to an undefeated (18-0) season in District 31-5A. He recorded 10 hat tricks on the season, including back-to-back hat tricks against Marble Falls and Brownsville Veterans in the regional tournament. 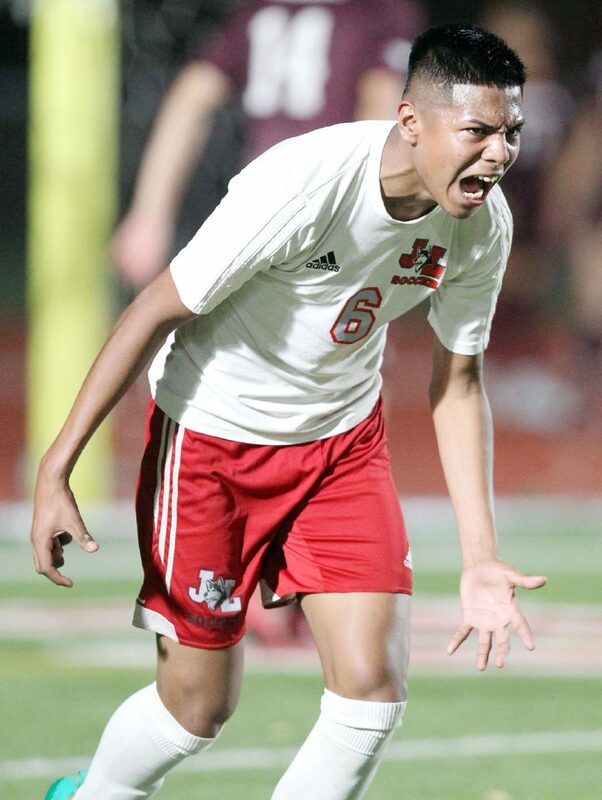 >> Jose “Chevy” Echevarria, Brownsville Lopez: The MVP of District 32-5A as a senior this season led the Lobos to the district title and to the third round of the 5A playoffs. He was also a standout in football and track, although soccer was his top sport. A four-year starter and last year’s All-Valley MVP, Echevarria finished this season with 32 goals and 25 assists. >> Gerardo Reyes, La Joya Juarez-Lincoln: After a run to the state tournament in 2017, Gerardo Reyes gained a lot of extra attention from defenders. It didn’t matter. The Huskies were the best 6A team in the RGV and won another District 30-6A title behind Reyes’s 29 goals. The Huskies qualified for the regional tournament, falling to state runners-up San Antonio Reagan.